UNCF and its 37 member colleges and universities are committed to providing access to quality education. A quality education includes the support and attention of knowledgeable, experienced professors. Since learning is a lifetime commitment, UNCF offers several faculty development programs for professors at UNCF-member colleges and universities. These programs provide opportunities for UNCF professors to continue their development through furthering their research and training, pursuing advanced degrees and improving their curricula and teaching skills. Designed to provide doctorate-level UNCF faculty support to conduct research critical to their disciplines and their own professional development. Established to assist UNCF institutions in attracting, strengthening and retraining faculty in the social sciences and humanities through professional development and career enhancement initiatives. The program provides financial support to faculty to complete their dissertation in Mellon-designated fields of study. The seminar creates an opportunity for UNCF faculty to enhance their scholarship in an international setting. The Learning Institutes allow participating UNCF junior and senior faculty an opportunity to focus on issues related to teaching and learning. The Faculty Residency Program enables faculty members to participate in semester residency programs at major universities, laboratories or field stations and/or research centers. Institutions are invited to submit grant proposals to assist in strengthening, orienting and advancing the professional development of junior faculty. Funded by the Ford Foundation, with a four-year, $1.4 million grant. The program is designed to expand and enhance the culture of service through comprehensive professional development activities at UNCF-member institutions. Funded by The Annenberg Foundation, with a three-year, $2 million grant. The program provides direct grant support to selected, eligible UNCF-member institutions to improve and strengthen the recruitment and retention of minority students interested in pursuing a career in teaching. For further information on the faculty programs, please contact the UNCF Scholarships and Grants Department at 800.331.2244. 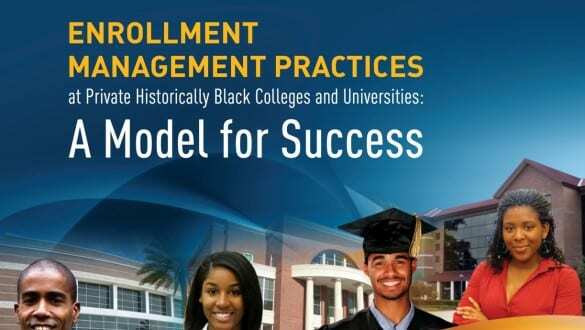 The Institute for Capacity Building produces reports and other publications to help UNCF-member HBCUs and others better understand educational best practices and how to improve.